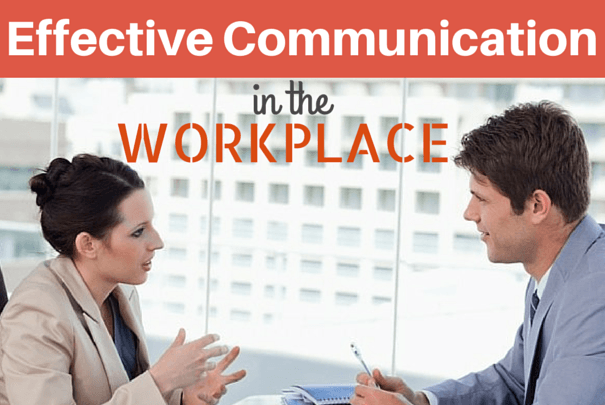 Good, effective communication is an important part of any business or workplace today. Here are some strategies you can use to make sure you have this in place. Communication is an important part of running your business. It helps keep things running smoothly between your team and its clients. Technology has created many ways of doing this today. For instance, you can use web conferencing to communicate with remote colleagues and email for inner-office memos. However, there are times when even these simple tools become quite complicated as messages are misinterpreted causing misunderstandings to happen. When this happens work can come to a real stand still, which is why it’s so important to closely monitor these means of communication. · Allow everyone to share their feelings. · Describe the problem so that everyone understands all the complexities involved. · Create several solutions to discuss until you’re able to find one that will work best for everyone. This should be one that everyone, or at least the majority of people, agrees on. When this isn’t possible, temporarily suspending the conversation until arbitration (third-party mediation) can occur is the best decision. · Always use simple, actionable statements that are clear and concise. · Save the humor and small talk for the phone. · Use capitalization properly. Don’t use all caps because this comes across as aggressive since it’s thought to represent shouting. At the same time, it’s also important to remember that a lack of capitalization appears both informal and unprofessional. · Make sure you also use proper punctuation. This can easily change your message’s tone. For instance, using exclamation marks can change the way your message is read. It can make your message seem urgent sometimes. At other times you’ll simply use them to convey your excitement. Sometimes you’ll find yourself sending too many emails back, which will result in miscommunication. At such times it’s better to pick up the phone and have a discussion. However, phone calls aren’t always successful either. When this happens you’ll need to have a face-to-face conversation. This is where a video conference call can help. You don’t need to travel to a location to see each other, use visual aids, and share a screen together. Video conference calling allows you to do this while saving you the time and money involved with traveling. It also allows you to pick up on one another’s physical cues that are otherwise missed while on the phone or while using email. This is especially great when you’re discussing a controversial topic. Even at other times, you’ll still want to use this mode of communication occasionally to prevent communication breakdowns from occurring too often. This happens easier when there’s distance between you. Of course, a lot of this communication depends on the use of technology. However, The Undercover Recruiter says that the average employee receives about 304 pieces of business email per week, which means they need to check their email boxes about 36 times an hour. Unfortunately, 44% of the email they find there gets misinterpreted (in comparison to 26% of voice mail and 0% of face-to-face communication). This simply emphasizes the importance of using these tips with these employees especially. Regardless of how hard you try, conflicts will still arise. It’s just a given that it’ll happen when there are different personalities sharing the same space 8 hours a day, 5 days a week. They become even more likely when there’s stress from meeting various deadlines involved. While minor issues like jammed copiers will blow over on their own, sometimes a major dispute happens that may actually prompt legal action. To prevent this from happening you need to nip small issues in the bud right away. The best way to do this is by having an open door policy. Encourage people to talk to you by having a safe, comfortable, honest environment where they can voice their frustrations. Of course, it’s important to emphasize that these conversations will remain confidential. How Stuff Works reminds us that when we respond to a conflict we need to be open-minded and nonjudgmental. Simply ask open-ended questions and listen for a response instead. This helps you know how everyone feels so you can reach a mutual agreement. Sometimes you may even need to make some changes in company policy if that’s where the real blame lays. These are your “duties” as a leader in your company. They’re never easy, especially since you must oftentimes interject yourself into what’s going on in your office – even when it’s really uncomfortable. It’s your job to keep everyone appraised of what’s going on within your business and learn about what they’re doing too. Remember, most employees are very unlikely to pick up the phone and call you. It’s up to you to choose to be proactive here. Communication is never easy but it also doesn’t need to be tricky. Hopefully, you’ve found a few ways you can brush up on yours so that everyone involved is happier.